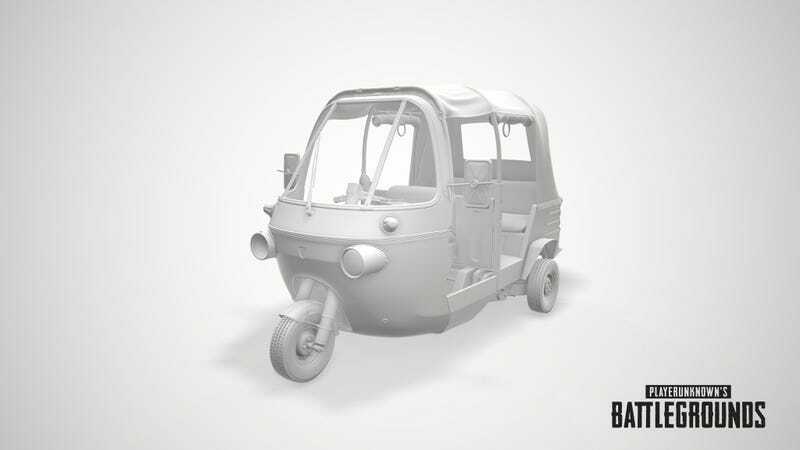 PlayerUnknown himself tweeted a picture of a model of a tuk-tuk. PlayerUnknown himself tweeted a picture of a model of a tuk-tuk. Is this a new vehicle that will appear in the full release version of PUBG’s upcoming Sanhok map? Hard to know. I’m looking forward to honking the horn while I drive around in style.